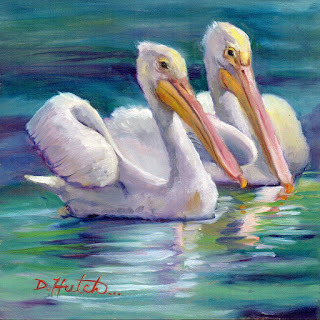 Here is a painting of a pair of white pelicans. They migrate through So. Florida and are only seen a few days a year. 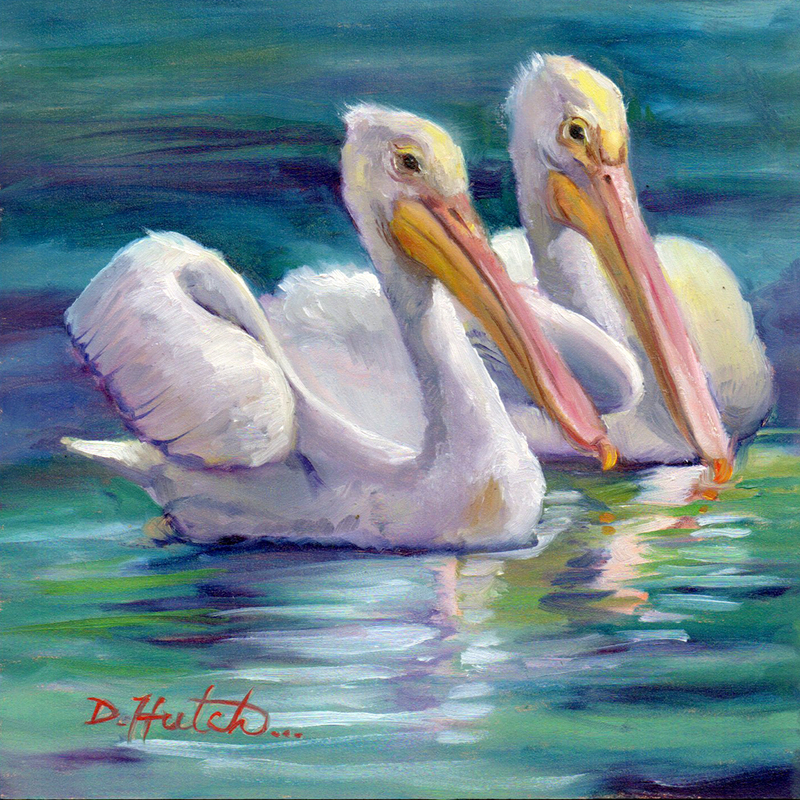 click to go to Dailypaintworks for auction info.